Phil Love stepped into the role of President/CEO in May of 2012. He is a native Missourian. He has a BA in Economics from Westminster College in Fulton, Missouri and a Graduate Degree in Banking from the Graduate School of Banking at the University of Wisconsin. He has over 30 years of banking experience, with over 21 of those years focusing on lending to businesses and farmers. He worked for the regional banks of Regions and Zions. He also holds the Certified Commercial Investment Member (CCIM) designation from the National Association of Realtors. LaRae Huffman grew up in Western South Dakota and earned a BS in Accounting from National American University. She worked at a prestigious law firm in Rapid City, specializing in various fields, including business law, before joining Pactola in 2012. Her present role focuses on administration, accounting and loan document preparation. Amanda Baldwin grew up in central Minnesota on a Century Farm raising black angus cattle. She earned a BS in accounting from North Dakota State University and worked for several regional accounting firms in the Dakotas. Her background is in public accounting; government and non-profit audits; and corporate, partnership, and personal tax return preparation. She joined Pactola in 2013 and works primarily with accounting, marketing, administration, and credit analysis. Sarah McDonnell is a Credit Analyst at Pactola. She has her roots in Rapid City, but moved to Fort Collins, CO where she received a BS in Psychology from Colorado State University. After her undergraduate years, she earned her Colorado Real Estate Broker’s license. She managed over 1,000 apartment units in that area and handled oversight of negotiation of leases, maintenance, daily operations, and finance for the units. She returned home and before coming on with Pactola in 2015, she was a financial manager at National American University. She also managed a medical office in the area. She is currently in her MBA studies at National American University. Sarah Kuntz grew up on a small farm in rural North Dakota and earned a BS in Accounting with a minor in Banking and Finance from Dickinson State University. 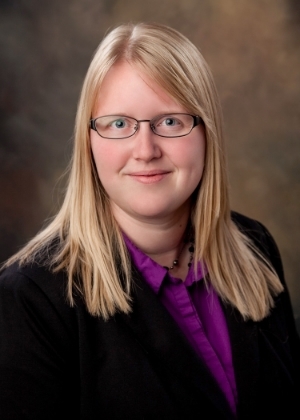 She is a certified public accountant registered in the State of South Dakota. Sarah comes to Pactola with experience in internal auditing for State and City agencies as well as independent audits of governments, schools, non-profit and for-profit entities. She has experience in testing compliance with State and Federal regulations as well as financial statements for accuracy. She has also helped organizations by looking at structure, policies, procedures and internal controls to improve efficiency, effectiveness and ensure compliance with internal and external regulations.